It's that time again....a new year, a fresh start, and resolutions to be made. We all have things we'd like to improve in our lives - lose weight, exercise more, quit bad habits, or whatever. At Destinations Credit Union, we can't help much with those kinds of resolutions, but we can help you get your finances in order. 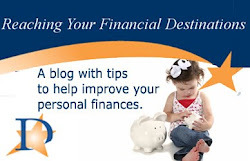 If you have resolved to improve your financial life this year, we're here to help. 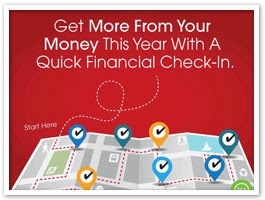 During the month of January, we're offering a free financial check-in by appointment only. One of our representatives will meet with you to get a sense of your financial goals and give you some tips to get started on the road to meeting those goals. Call 410-663-2500 ext 124 and make your appointment today! Get your credit report once a year at www.annualcreditreport.com or get a copy directly from each of the three major credit bureaus. Since you are entitled to one free report from each of the major credit bureaus each year, stagger the reports so you get one every 4 months. That way, you can keep on top of anything that may be wrong and protect yourself against identity theft. If you want to know your credit score, you get it at no cost through creditkarma.com. The better your credit score, the better your loan rates, insurance premiums and more. If you don't have the best credit score, Destinations Credit Union can help you work on improving it. Your monthly bills probably don't come in paper anymore, but you get the idea. Discovering what and when you pay gives you a 100% accurate view of your financial picture. And remember: don't get surprised by semi-annual expenses like real estate taxes or annual expenses like license plate registration. Being on a budget may sound like being on a diet, but it isn't. It's a map of where your money will go each month. Use a spreadsheet, checkbook register or an online money management tool like our MoneyDesktop. Determine when you get paid and when you pay bills - then stick with the process that works for you. A healthy savings account doesn't magically happen. It's the result of setting small goals and sticking to them. Commit now to put as little as $5 or $10 or $20 per paycheck into a savings account. By the end of 2014 that account could have hundreds in it, maybe even thousands. Once you reach your savings goal, set another. Following advice from financial gurus like Dave Ramsey isn't the easy way out - it's common financial sense. Be honest about what you owe and pay as much as you can on one credit card or loan until it's paid off. Then move to the next debt. Before you know it, you'll be debt-free!